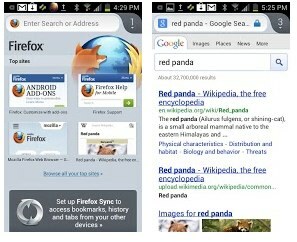 Mozilla has long offered Firefox for Android as an alternative browser option for users with phones running Android 2.2 and higher. Until now, however, you needed a device with an ARMv7 processor to use Firefox. That’s changing today. Mozilla just announced that Firefox for Android 17 is now available on phones using ARM’s older v6 architecture. According to Mozilla, “roughly half of the nearly 500 million Android phones in use today run on ARMv6 architecture.” The Firefox team perviously only offered this feature in the Firefox for Android beta channel. Users with ARMv6 phones like the Samsung Galaxy Pro GT-B7510, HTC Status, LG Optimus Q, Motorola XT531, and Motorola Fire XT can now download the final version of Firefox 17 here. These ARMv6 phones need to have at least 800MHZ processors and a minimum of 512MB of RAM. With this update, Mozilla is also bringing a number of new accessibility features to the browser, including support for the TalkBack Android screen reader. Also new in version 17 is initial support for Firefox web apps, Jellybean support for Explore by Touch (another accessibility feature) and hardware and software support for decoding H.264 video on Android 4 and 4.1.